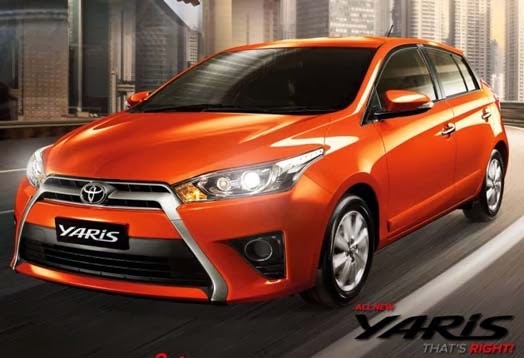 All New Toyota Yaris has been officially released in Thailand which incidentally is the icon of automotive southeast asia region. 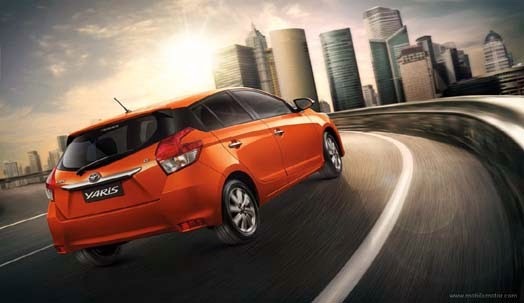 Model New Toyota Yaris was first introduced at the event in Shanghai Motor Show a few months ago. Of this new model, the Yaris looks appear more tempting with a series of changes to both the exterior, interior and kitchen runway. For dimensions All New Toyota Yaris has a size width 1.700 mm, length of 4.115 mm and height 1.475 mm and has a wheelbase 2.550 mm, for the capacity of the fuel tank has a capacity of 42 liters. For its own exterior differences quite the contrast was seen compared with Toyota Yaris old, with changes in almost all sectors. Headlights on the All New Toyota Yaris looks more aggressive with a model that is more narrow and elongated. While the front grille is also undergoing a revolution to form two thin lines color silver / Crom, Interestingly edge the second grill dangle until The second grill dangle until. For the engine, All-New Toyota Yaris will be equipped with engines coded 3NR-FE, these machines has a capacity of engine 1.2 liter 4-cylinder and 16 valves, other than that these machines has also been using DOHC and Dual VVT-i. With this engine the All New Toyota Yaris is capable of producing maximum power 86 hp at 6,000 rpm and maximum torque 108 Nm at 4,000 rpm. All New Toyota Yaris comes with 9 colors include White, Super White, Silver Gray Metallic, Silver, Silver Metallic, Black Mica, Black Attitude and will present three new colors namely Frozen Blue Metallic, Red Metallic Red and Orange Metallic. While for its type available in four types namely the type of J-Eco, type J, type E, ​​and type G.